It’s the worse possible scenario and it always seems to happen at the wrong time. You head out to your car, put your key in, and it won’t turn the ignition. What do you do? Ignition cylinders are made out of wafers and those wafers bend, crack and break over time. There are usually some warning signs, but like most people, you’ve probably ignored them until it was too late. If you’ve found this article and the ignition is only sticking, you’ve saved yourself some time and money. Here are the 8 things to try, from the simplest to the hardest. How’d He do That? How Locksmiths Make Keys and Other Interesting Tidbits. You wake up late. Quickly get yourself together and head to your car, desperately trying to get to work on time. But when you stick the key in the ignition, it won’t turn. Panic sets in. It happens, and ACME Locksmith spends a lot of time repairing ignitions and other door locks that have been damaged over time. If you’re lucky. Your ignition starts to stick when you turn the key months before it fails. If you bring this car into our Mesa Lock Shop before you can no longer drive it, we can pull the ignition and repin it. Though inconvenient, this is a good thing since we will not have to perform the ignition repair at your location, which can be considerably more expensive. 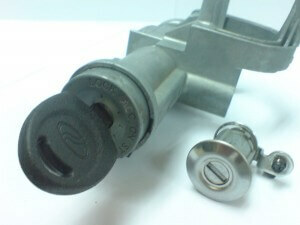 Ignitions are a little different than residential and commercial locks. They’re composed of wafers that slide into position instead of pins. 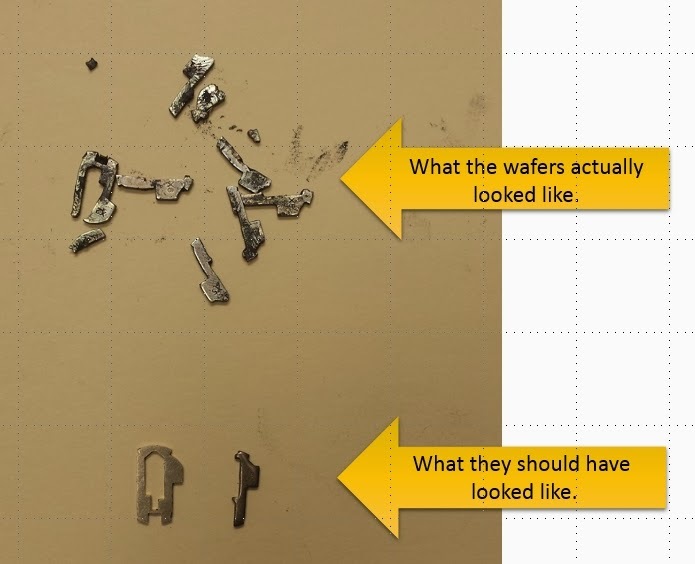 When one of these wafers is damaged (bent or broken) the key will no longer work the lock. That’s where we can help. ACME Locksmith removes and repairs the exiting locks to get you back on your way. 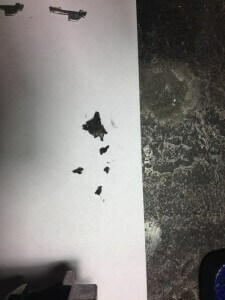 The picture below shows the wafers from a door lock our Shop Manager, repaired last week. This lock was in really bad shape and had completely stopped turning. The benefits of using ACME Locksmith’s auto locksmith service? We can repair what you have to save you money! We charge much less than the dealer. We do the work at your location, no need to tow your vehicle. 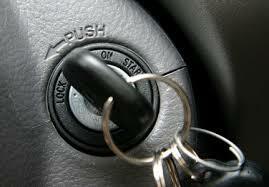 When your ignition or door locks start to stick, call ACME Locksmith before they stop working. We were so excited to be named a finalist for the 2015 Scottsdale Chamber of Commerce Awards. I didn’t think it could get any better, but then we received this video from their production crew. with plans to open two more locations. An example of providing that exceptional customer experience is their Online Lock Knowledge Center that educates customers and potential customers. Acme Locksmith is also a consumer advocate in the community exposing the rising fraud and locksmith services. 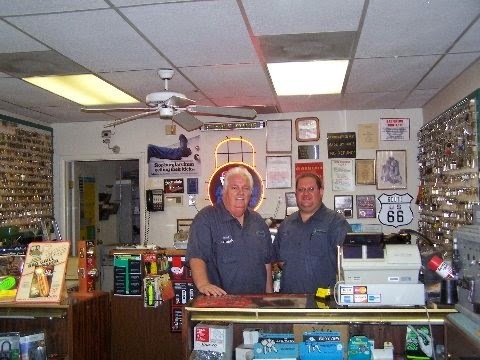 With continued employee training and implementing the latest in technology, Acme Locksmith provides superior customer service. They were the first local locksmith company in Phoenix valley to implement a software controlled dispatch system. This system has made their drivers thirty percent more efficient. Locking your keys in your car can be a very stressful situation. “When our tech arrives on site our Phoenix Valley customers will feel more comfortable after we get there than they did before we arrived. In Phoenix Arizona, there’s no requirement to be licensed locksmith company. Anybody can do it. But carrying a contractors license is something that ACME Locksmith does that most of the other “locksmiths” aren’t doing. Car Key Sticking? Your Ignition May Be Failing. With all that Arizona dust, your car’s ignition starts to gunk up after several years. One day you step out to your car and your car key won’t turn the ingition. That job costs hundreds of dollars to fix since the ignition will likely have to be replaced and ACME’s valley-wide, Phoenix mobile locksmith service will need to go to your location to take care of the problem (or, if you don’t use ACME, you need to tow your car into a dealer or auto repair shop). But wait! There’s good news. Most of the time you get a warning that the car’s ignition is going to fail. Your key will start sticking when you turn the ignition. That’s the time to bring the car to our lock shop so we can remove, clean and repair any damaged or gunked-up waivers in your ignition. Why do ignitions fail? As already mentioned, Phoenix is a dusty town. 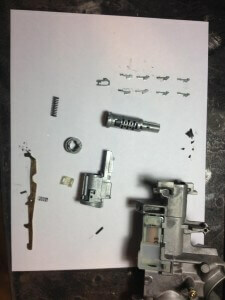 Once an ignition starts to stick a little, most people’s first reaction is to spray wd-40 into the key hole, and this seems to solve the issue at first. But that is one on of the worst things you can do. The wd-40 acts like a magnet to Arizona dust and it will eventually turn into a gooey, sticky mess. When you first feel the lock sticking, you can spray silicon based lubricate into the key hole to buy yourself some time, but you will still want to bring the car into our locksmith shop to have the ignition pulled, inspected for wear, and cleaned. And there’s also just plain wear and tear. That car key turns you ignition at least twice a day, day after day, week after week, year after year. The wafers inside the ignition that code the ignition to your car key are very thin. Eventually the crack and then split. Arizona dust exacerbates this problem. Don’t get caught stranded. When you first feel the problem, have the car checked out at one of our locksmith shops. I can’t tell you how excited I am to start off the new year with this news! Our merger brings together two of the valley’s best lock companies to offer you benefits not found anywhere else. Three valley locations: Mesa, Phoenix, and now Scottsdale! ACME is the only lock company in AZ with more than one shop. Bring your lock and key needs to us so you never have to pay for a service call. Fully licensed in residential and commercial door hardware. Arizona’s fastest response times with vehicles traveling throughout Phoenix. 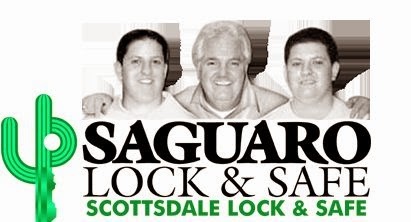 Saguaro (also known as Scottsdale Lock and Key) has been doing business in Scottsdale since 1955! Stop by to congratulate us and get two free house keys throughout January. 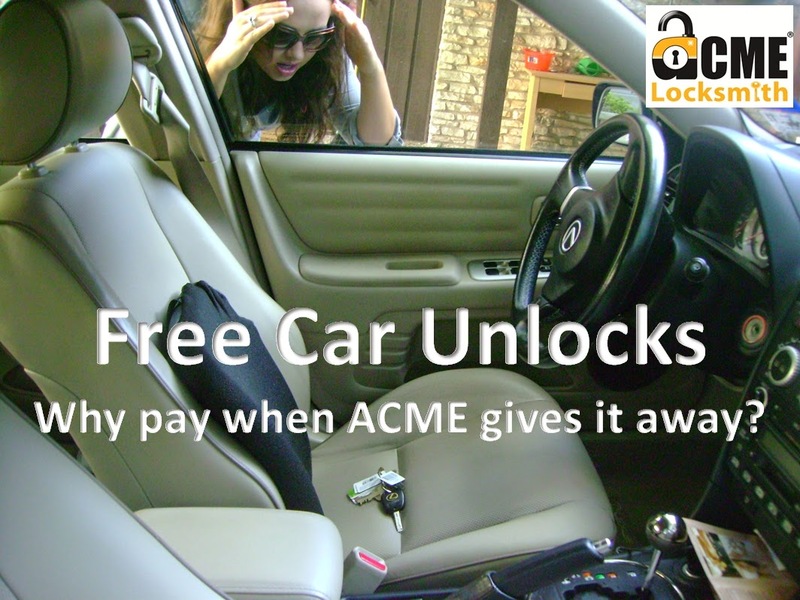 Why Does ACME Unlock Cars for Free? When we started providing free car unlocks to Phoenix-metro residents, our competitors were dumbfounded. Even some of our customers didn’t understand it. After all, isn’t this how locksmiths make their living? Well, not any more. Unlocking vehicles is only a small fraction of the services we provide. We work on every component of a door (the locks, door closer, panic bars, access control, etc…), make keys for cars (even the new transponder keys, remotes and FOBs), repair ignitions, and sell, move and open safes; just to name a few. Unlocking vehicles is maybe 5% of our modern services. So why are we giving away car unlocks? Locksmith fraud has become a national problem. You can read all about it our Lock Knowledge Center (with real stories and customer receipts), but basically these crooks prey on consumers with a bait and switch routine. Quote ’em low, price gouge you when they get there. They tell you it’s $15 plus labor to get into a car. The customer’s first thought, “How much can the labor be?” But once the crook unlocks the vehicle, and has your keys in their hands, you find out that the labor charge is over $200. Until now. We want the scammers source of revenue removed. We’d like them out of town. Anyone with a free car unlock decal on their vehicle can call ACME and we’ll unlock that car for free during standard business hours. Don’t have one? Register your car and we’ll mail you the decals. No cost, no dues, nothing. It’s free. Even if you have AAA, no harm in having a backup. If AAA can’t get there quickly, give us a call. We usually can. The next question we get is, “Why require the decal?” Well, basically it allows us to know how many people we can support. We are a small company, so we have limited capacity. By tracking how many free car unlock decals are out there, and tracking how many calls we’re providing for free, we get a better understanding of the total number of cars we can support and manage to stay in business. So get your decal today!